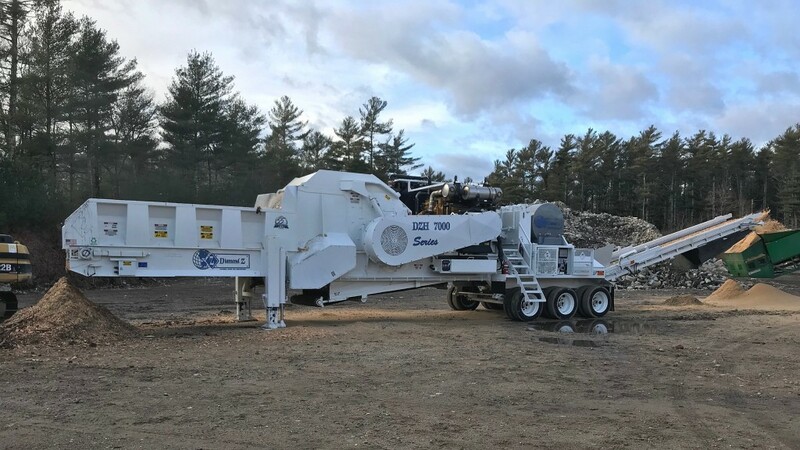 Also available, the DZH 7000TKT Series track mounted horizontal grinder has all the features and capabilities of the DZH 7000 with the added portability that comes with a track-mounted machine, allowing operation just about anywhere. The DZH 7000TKT comes with a complete transport system that easily and safely secures to the grinder so it is ready to be transported, avoiding expensive permitting fees. Other standard features of DZH7000 series models include a fluid coupling mill drive, reversing fan, radio remote control, tool box, engine cover, and super-screw belt lacing and very high surface torque. Plants weights vary, depending on options. Production rates are up to 120 tph or 630 yph, screen area is 5,760 square-inches, and standard engine is a CAT C32 ACERT LRC Diesel.